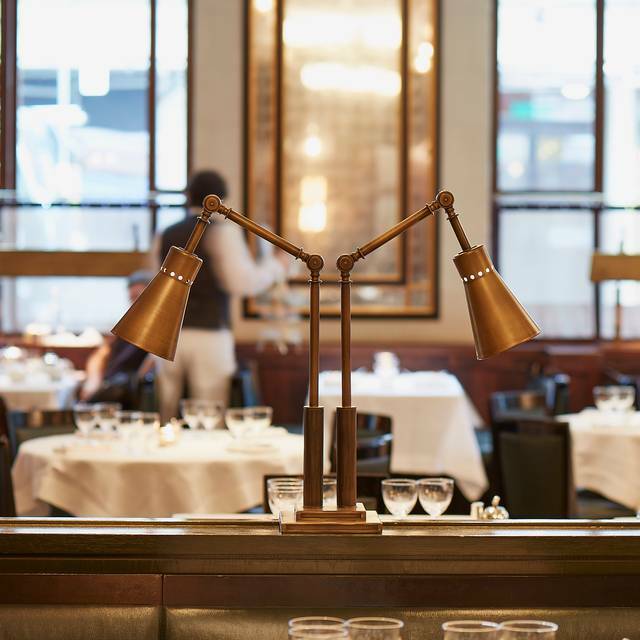 Inspired by the grand cafés of Mittel-Europe, The Delaunay is an all-day café-restaurant located near Covent Garden on the corner of Aldwych & Drury Lane. Offering a varied selection of classic European food, it is open early for breakfast through to lunch, afternoon tea and dinner – two Private Dining Rooms are also available and well suited to all manner of events. 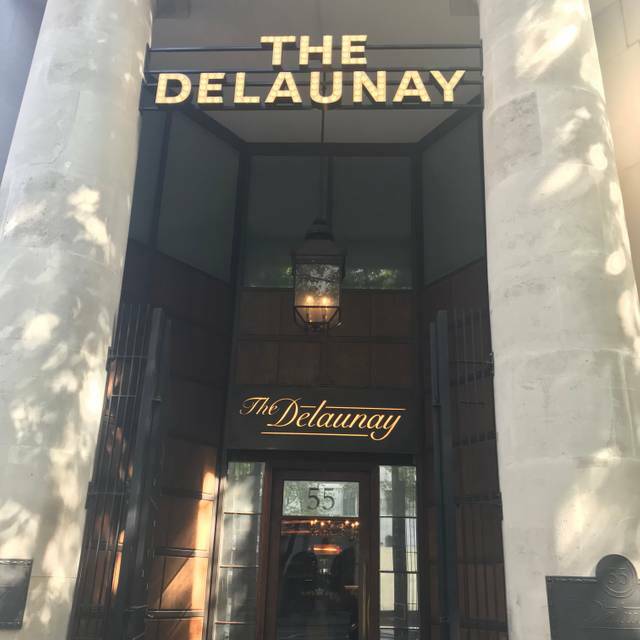 Located in the heart of London’s theatre-land, The Delaunay is perfectly placed for enjoying a meal before or after a nearby performance – a number of ‘Dinner & Show’ packages with nearby theatres are also offered throughout the year. Open from early until late, seven days a week, reservations are recommended but tables are always available on a first come, first served basis. A wonderful place to go and soak up the atmosphere as well as the best afternoon tea ever. Fabulous ambiance, food lovely and service efficient and friendly. Would recommend it! 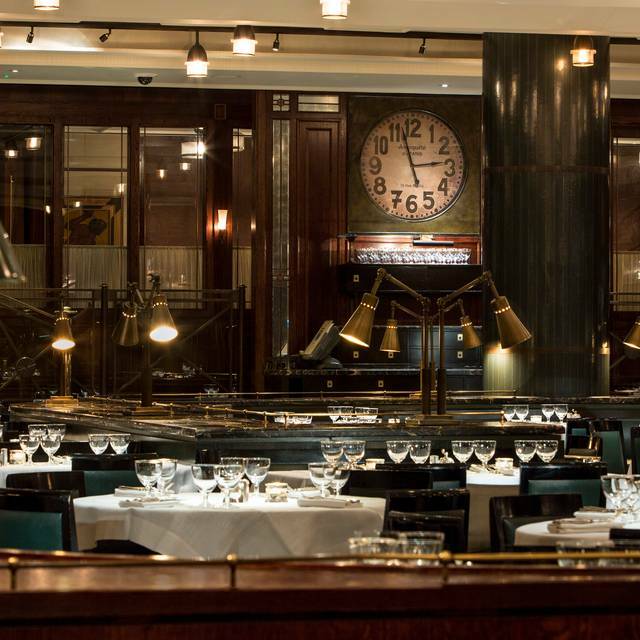 I visit the Delaunay fairly regularly - faultless service, superb food. I invited two guests from Italy to enjoy a quintessential afternoon tea. On arriving I was told my table was not ready (I arrived 5 mins before time) but walk in tables of the same party size were seated. I was asked to wait at the bar; my guests then arrived who they then sat at the table without telling me, and I had to go to reception and ask where they were as they had messaged me to say they were at the table, and where was I. When I asked the receptionist why this happened she grimaced. We then ordered two afternoon teas, and one tea. The tea arrived promptly, and at the same time a couple were sat an adjacent table. After 15 mins, the adjacent table had relieved not only their tea but their afternoon tea as well. We still did not have our own afternoon teas. After a further ten minutes we asked the waiter where our tea was, to be told it was being made. They then brought three afternoon teas, not two. When we repeated that we only wanted one two afternoon teas, and asked them to take one of them away (my female guest didn’t want to eat, which is why we had ordered two in the first place) we were told “we will gift you a cup of tea”. This missed the point: I didn’t want anything gifted, I wanted faultless service - and this was a car crash at a venue that I had specially selected for my visitors, and had said at some length in advance how special it was. I left feeling very upset indeed. Anyone can make a mistake, two at an utter push, but this was like faulty towers from start to finish. 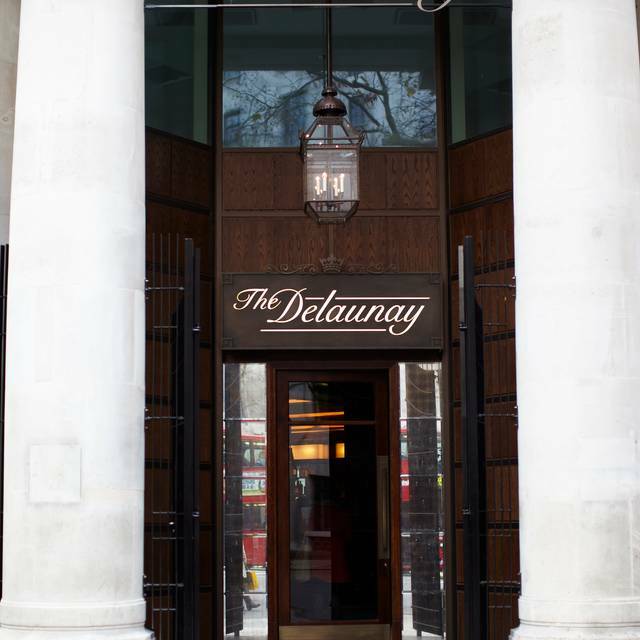 We visited Delaunay ‘s for Mothers day last Sunday. We were met with pleasant smiles and curteous attention. There were lots of people there, creating an exciting buzz but it was not so noisy that our own conversations were disrupted. We were given advice on the menu and cocktails not listed on the menus were made available when asked for. My son and husband enjoyed the peppered steak which they praised continuously on the journey home. Most unusual for my husband to have such high praise for restaurant food. We had such a pleasant evening. We very much enjoyed our first visit, to this venue with its stylish decor, very professional service and generally well dressed clientel. As always the food and service was excellent. Lovely evening and look forward to coming back soon! We had a lovely lunch, excellent service and very good food, let down by the noise level, which was quite high but the staff very considerately gave us a table by the window which had a somewhat reduced noise problem. Wouldn't stop us from a return visit! Terrific food in a lovely setting. The staff are great too, very welcoming and very good service. Went here to celebrate a birthday. Everything was great! Attentive service, great food and nice atmosphere. Highly recommended ! The restaurant location, ambience, decor and layout is very good. The front of house service is also good, however the table service was disinterested at best and hard to get attention of waiters most times. None of the questions around if any help was needed with the menu, how the food was, any eye contact during service or any attention to see if we wanted to order food or drink. Given the clients to waiters ratio seemed okay for a Fri night, was disappointed with this. Food wise, starters were good and main course was okay. I may continue going for coffee catch ups and breakfast meetings but unlikely to frequent for dinner in future. A great venue for lunch with an "old" friend - she had not been there before and was very impressed. The food quality has gone down. This is my usual safe option to meet business contacts and friends. But the food was just ok, did they change chefs? My grilled chicken was super oily. Thank goodness service was still ok.
Good choice on the menu, and wines. Would be happy to visit again. Great place for a relaxing brunch and catch up with friends. Came across this restaurant by chance. Very pleasant experience. We were celebrating our anniversary and were given complimentary chocolates. Nice gesture. Delaunay is great just like his siblings Wolseley and Fischer’s. Warm and friendly front-of-house, lovely ambience and even better food that never disappoints. They make one of the best kedgeree with a just perfect oozy poached egg. Their sorbet is really pretty with two leaves of pistachio biscuits and dehydrated pineapple! Wonderful service, yummy food and delicious wine. An evening well spent. Our family of four had a wonderful evening before seeing Tina at the Aldwych Theatre. The restaurant's location is perfect. Most of all the service was impeccable and the food was delicious. The ambiance was unique to what other places we visited during our week in London. I give this 5 stars! Always a pleasure, that why I regularly return. A small but perfect menu. It excels in its consistency food and staff. Extremely good Sunday Roast with all the traditional trimmings. We loved it. Great meal and wonderful ambience. It is a shame that a restaurant with such a German/ Austrian menu does not have a beer menu to match. That said: a great meal in a lovely location. Well what a place! Loved it. Fine dining indeed,fabulous decor and style. A superb restaurant! Extraordinary menu and wine list of best of well-known European cuisines (strudels, dobos torte, Riesling, Tokaji etc.). Timely services, attentive and friendly staff and chefs. Pre-show perfect. Perhaps a little booster than we would’ve liked, but not disturbing (it was a full house). Will visit each time when in London, for sure! Very nice venue and food . Fabulous as always. Impeccable service, great food and exquisite surroundings. Excellent food and nice service in a beautiful settings. Big fans of the Schnitzel and Kaiserschmarrn in particular!